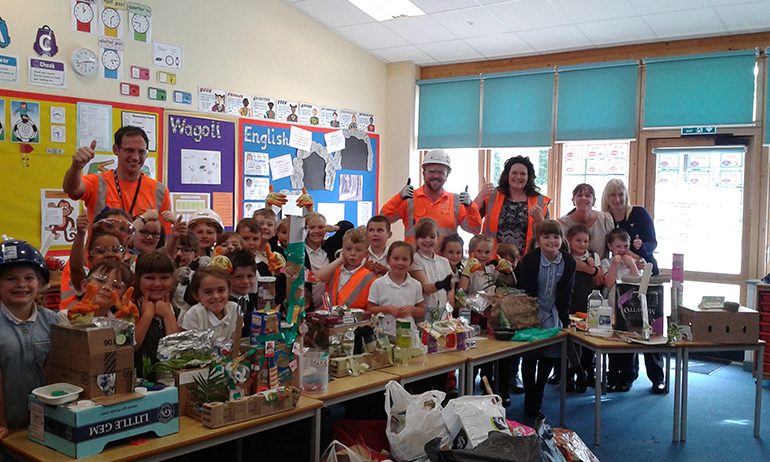 Year 3 pupils at Wellesley School in Yate took part in Honor Goodsite’s Big Build competition by constructing a railway station from recycled materials. They also had to design and cost the build as well. The pupils were then instructed to incorporate no less than three sustainable design features in the model. The pupils added such innovative features as a green roof wildlife habitat and rainwater storage for flushing station toilets. 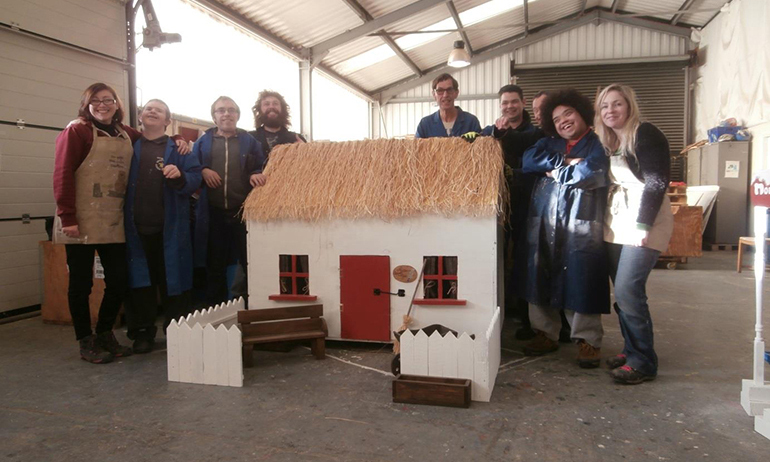 When the Cedar Developments team suggested Honor’s Big Build competition to ERIC – a workshop for adults with learning disabilities – they were thrilled to take part. The group decided to build a scaled down version of a traditional Manx Cottage with the project team providing lots of recyclable materials for the project. The cottage will be used in the Adult Resources’ new garden centre as a chicken shelter for when the birds are out of their coop. 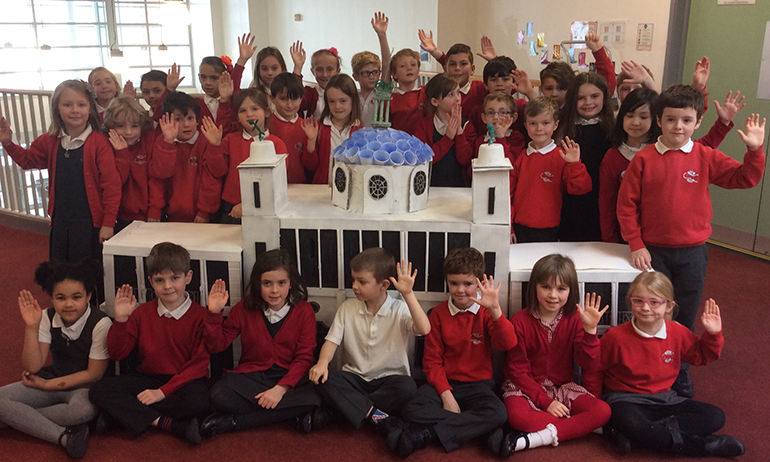 The pupils at Marine Park First School chose to recreate the iconic Spanish City Dome with it being right on their doorstep. Using recyclable materials from the site itself, the striking model building was designed and created by 30 pupils whose futuristic interpretation of the Spanish City Dome represents what it would look like if it were being built in the 21st Century. From self-sustaining railway stations, to the menacing Viking Longhouse, there was a huge variety of buildings in all shapes and sizes. Every competition entry showed incredible thought both towards construction itself and protecting the environment. Thank you to everyone that entered the industry’s very first Honor’s Big Build competition, and huge congratulations to all winners and runners-up. The Scheme is delighted that this competition has been so well received with around 900 children and young adults taking part. It was fantastic to see so many interesting constructions of iconic buildings, all using recycled materials. 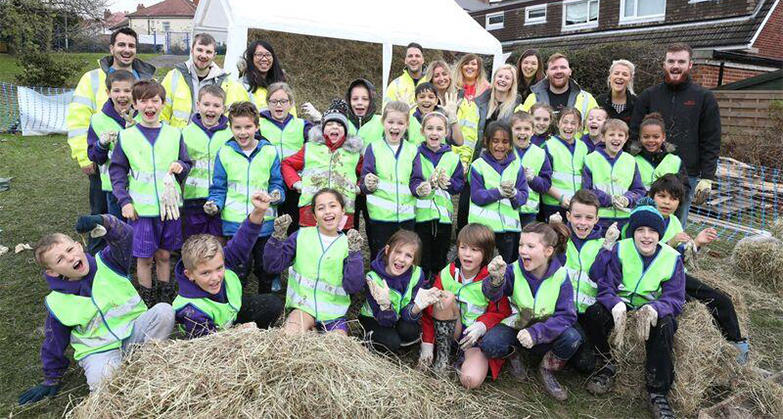 The success of Honor’s Big Build highlights how Scheme-registered sites, companies and suppliers are committed to engaging with local schools and communities in order to improve the image of the industry and inspire future generations to join construction. We look forward to seeing even greater participation in this fantastic competition next year. Each winning school/community group received a £100 Amazon gift voucher and Honor Goodsite Fun Packs. Winning contractors registered with the Scheme received a complimentary hire of the Honor Goodsite costume.